The artist, musician and composer Thanos Chrysakis was born in Athens. He lived for sixteen years in London until he moved to Belarus in 2015. He is a trained musician who performs his music internationally in festivals, in concert halls and alternative places. He always had a strong connection with images and thus has created his own videos, or has found people for sound/image collaborations. Since 2007 he operates the record-label ‘Aural Terrains’ focusing in electroacoustics, composed and improvised music. 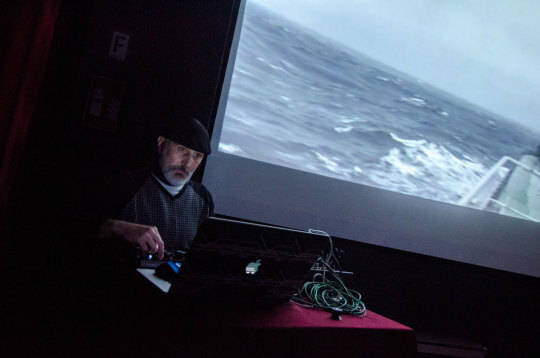 The program thus presents the composer/musician – Thanos Chrysakis – working with his own visuals and with the audio-visual collaborations of film director Félix Brassier. In our perception of video, or film, of audio-visual material, sound guides the reception of images, sound creates the continuity of space and time or its disruption more than any visual effect, even though the sound editing rarely comes to the surface of our perception. 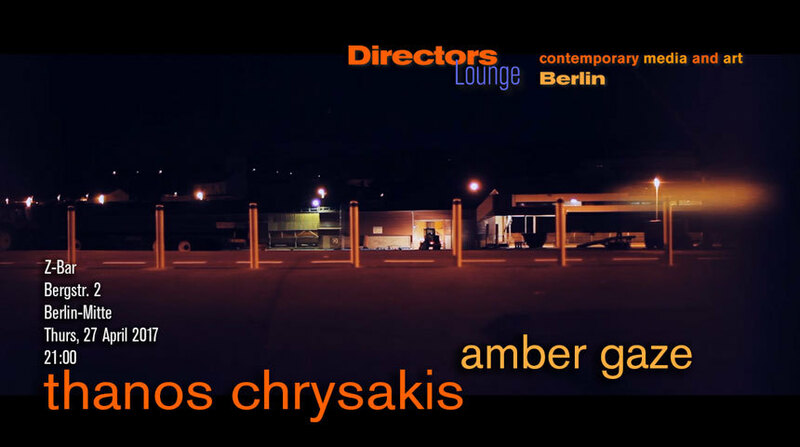 Chrysakis with his sounds on the other hand loves to work with the thresholds of our perception, with the fragility and ambiguity of sounds, and the edges of discernibility. The images of his films, and of those of Brassier, thus play on a similar congenial level of ambiguity on the picture layer, as Chrysakis’ sounds. The visuals may even take up some of the functions, “music for film” traditionally has: a marker for the continuity of space and time. However, the stream of ambiguous consciousness between industrial urban spaces and dreamy imaginations the films provoke, are a product of a fine tuned balance of sound and image creation.